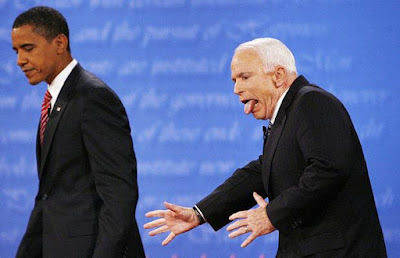 Well first and foremost welcome back :D. As for the elections I prefer Mccain :P. People by the way always have a rosy memory of the past not just in governance ;). Obama is gonna win . This cartoon is so funny since McCain makes you wanna gag !